A few months ago we were up in State College, Pennsylvania and I got a pretty decent photo of the popular Beaver Stadium where Penn State plays their football. If you have never attended a game there, well...you are really missing out! 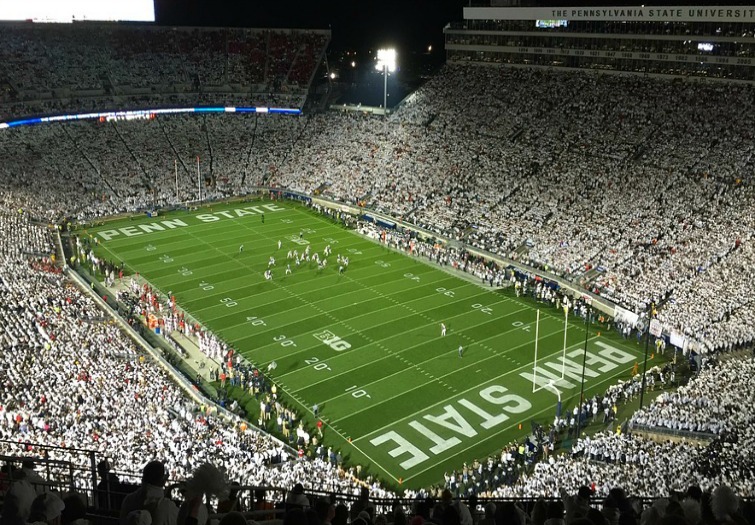 It's a large stadium that is always sold-out and jam-packed for the Penn State football games. I love going up there to see the games but I do dread the parking situation. The last time we were up there, we had to pay $40.00 and park a mile away from the stadium. That is a terrible distance to walk right after a total hip replacement but I did it! Beaver Stadium is the second largest stadium in the nation and is really modernized! The stadium will hold over 106,000 screaming fans! "WE ARE PENN STATE" and "GO PENN STATE" is often heard throughout the football games. Here is Pennsylvania, we are PENN STATE and PENN STATE proud! The drive up to State College from Harrisburg, PA is a beautiful drive...especially if you make the drive during the Fall season when the leaves are changing and at their fullest peak. You really don't hit a traffic jam until you get right outside of State College which then it's bumper to bumper for at least 2 hours right before and right after a game. You can click on the photo in this post to enlarge it to see it in better detail. As you can see...we visited in early November and the leaves & trees were just beautiful!!! If you are staying the night, there are a lot of great hotels nearby (driving distance) such as The Sleep Inn, The Comfort Inn, The Marriott, etc. 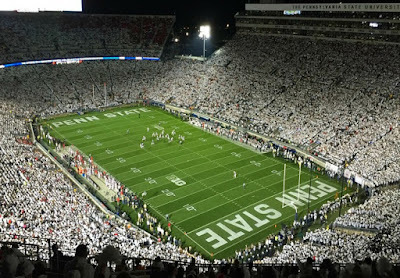 We are looking forward to going back up there again in Fall of 2014 to catch another Penn State game and perhaps this time around we will stay a few days so we can tour around State College to see what all they have to offer in the form of fun & exciting things to see and do.